When you make and sell jewelry it becomes a total process. As much as I would love to just hole up in my studio creating, it just doesn't work that way. If you want others to see your work, take you seriously, and buy your product, you have to develop your brand. I'm going to be really up front here- I'm no expert, but I have sold a fair amount of jewelry so I'll share my process of what I am doing, and of course it is still a work in progress. When I first started making jewelry years ago it was just for fun, I was all over the place, learning techniques. 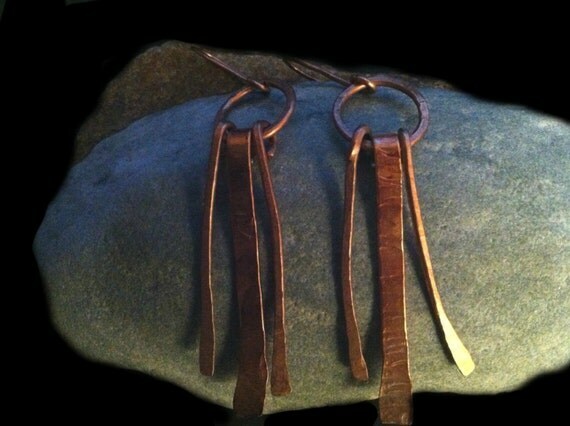 Then I got interested in mixed media and started exploring other mediums so not much jewelry making took place. But after much hard thinking, I decided it would be better to focus in on one area and really develop it, that ended up being the jewelry designs. I noticed, whether making jewelry or working in other mediums of mixed media, I always gravitated toward the same color palettes. So I wanted to create a business name that embraced my style- thus Earthy By Design. The next thing for me to consider was the packaging . I wanted to keep it consistent with the brand- something that felt natural and organic. The top 2 are for necklaces, they are the first ones I did. The bottom are for earrings, and I like these much better. Since I had already printed out a number of necklace tags, I am going to use them up before making them similar to the earring tags. For shorter necklaces that can be put on display cards,I cut an angled slit on the top of each card and hang the necklace. I cut a coin envelope in half and attach it to the back. Both ends of the envelope can be used, just seal the flap side before attaching. I use craft box jewelry boxes because it fits in with my natural and earthy style. I purchase them from Paper Mart. After looking around quite a bit, I found they had the best prices. Also, they have anything you might need for packaging and shipping. I am also starting to make some small jewelry pouches. 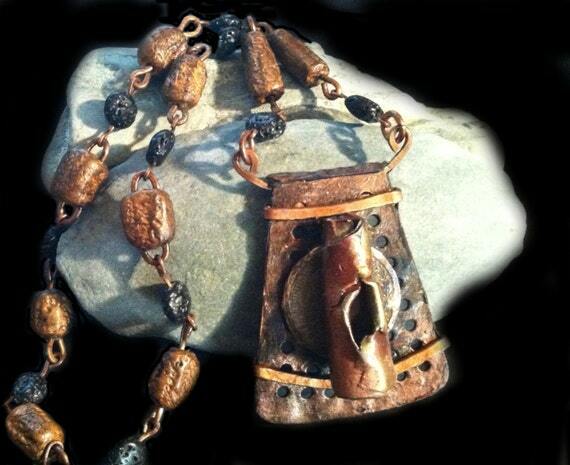 I saw them at Jewelry Making Journal, Rena Klingenburg gives a tutorial on how to make them. I have modified it just a bit, since I was having trouble getting them to close properly. I use the no sew bonding tape to iron the sides shut. I'm not going to show how to make this, check out Rena, she does this very well. I lay an "Enjoy Your Jewelry" tag on top so I am givnig my brand information when opening the package. Here is what my box looks when ready to mail. At art shows I also place my identification on the bags I put purchases in. I use craft bags with my label on them, which are on back order right now at Paper Mart. I also do it another way with brown lunch bags. My label goes on the front, the top is creased over and hole punched on both sides, a double strand of twine is threaded through and a knot tied at the end. I then slip the string through the back and it creates a carrying handle. 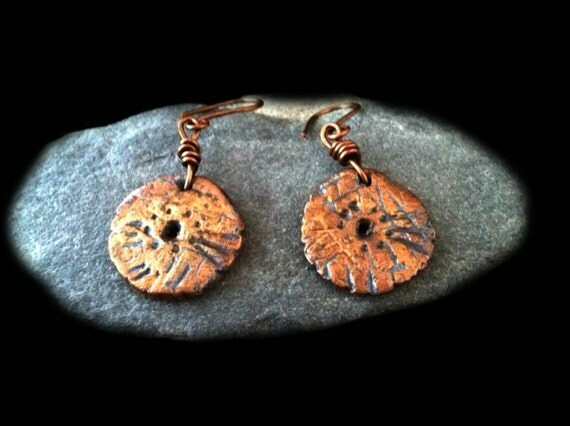 So there are some of the things I do to create a brand for my jewelry Earthy By Design. I hope it gives you some ideas of what you can do as well. Thanks Janet for stopping by! I appreciate it when I can learn something from others when visiting their blogs, so when I can, I like to do the same for others.